COVENTRY Half-Marathon has been cancelled due to forecasts of ‘adverse weather conditions’, promoters say. There are yellow warnings for Coventry and Warwickshire this weekend predicting minus temperatures, snow and ice. The popular run has been forced into cancellation because of fears for the safety of runners. The half-marathon was scheduled to take place on Sunday (March 18). 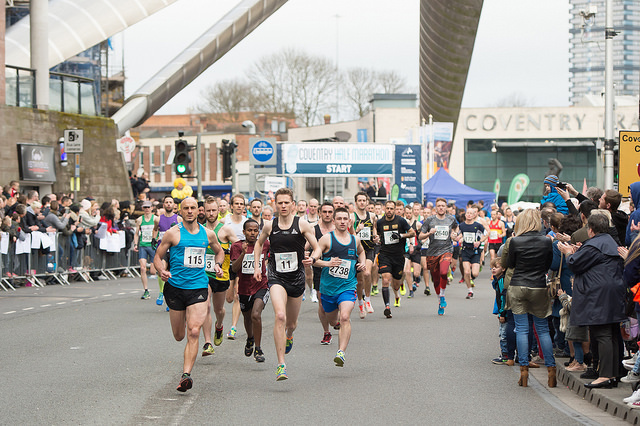 The Coventry Half-Marathon page tweeted: “URGENT NOTICE – Coventry Half and Children’s Mile 2018 Race Cancellation It is with deep regret that the event has been cancelled due to the Met Office forecast of adverse weather conditions. “There is also standing water on the route which will likely be frozen on Sunday morning and we are particularly concerned about the -8 degree wind chill and the safety of volunteers and stewards. “The organisers have not taken the decision lightly, and have consulted with the local authorities and medical support before making this decision. We have taken this decision now to avoid unnecessary travel to the event.